While all commercial businesses need to be sure to keep their facilities clean, there is no industry where this is more important than food service. That’s because customers judge restaurants by their cleanliness and if your facility doesn’t look like it takes hygiene seriously then customers are likely never to return. 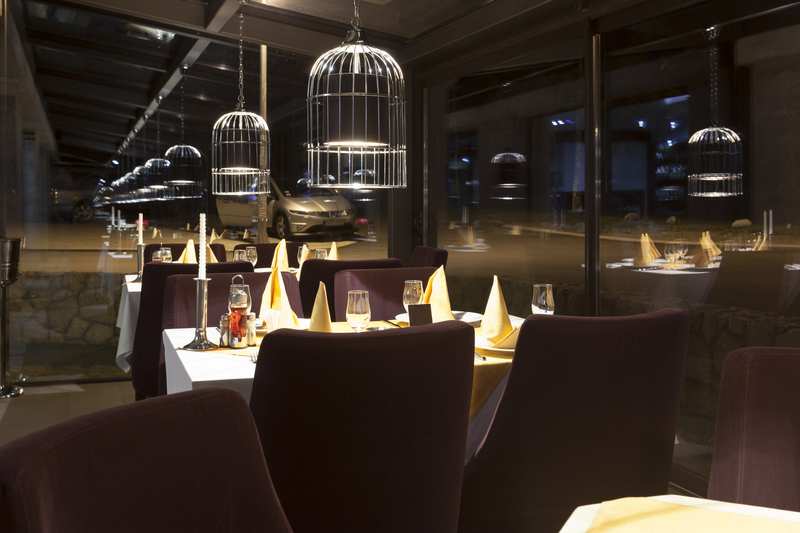 In fact, up to 80% of customers say that they would not return to a restaurant that was dirty! Make sure that your customers return time and time again, while you cut down on slips and falls, and save on cleaning time and cleaning costs. Mat service is the ideal solution for restaurants. Entryway mats will keep your restaurant cleaner and more appealing to customers. According to one study, the average customer spends only 17 seconds forming their opinion of your business. That means that if they walk into a restaurant and see a dirty floor, your business likely won’t have the chance to make up for that first impression. In addition, 42% of customers judge the condition of the entire restaurant on the condition of its floors! Since customers have so many choices these days and their time is so valuable to them, they will rarely give a business a second chance if it doesn’t meet their standards the first time around. Why would they waste their valuable time? Carpeted mats, logo mats, comfort flo mats and Entryway mats serviced weekly, ensure that your floors make a great first impression every single time. That’s because they cut down on the amount of dirt and grime that enters your facility, keeping it significantly cleaner than it would be without the presence of a mat. Up to 80% of dirt comes into a building from outside, and an entrance mat can capture that dirt before it is tracked and carried throughout the rest of the business. The mat, and the dirt in it, are removed by the mat service, cleaned and returned to start saving you money again. According to Cleaning and Maintenance Management Magazine, each dollar spent keeping dirt from entering a building saves $10 of expense in removing it! To learn more about how Entryway Mats can help improve the cleanliness in your restaurant, please contact Joe Bateman at Lord Baltimore by calling 800-292-1224 or visit LordBaltimoreUniform.com. For over forty years, Lord Baltimore has provided reliable, cost-effective uniform rental solutions as well as entryway mats to clients of all sizes throughout Maryland, Washington DC, Northern Virginia, Southern Pennsylvania, and Delaware. We also handle towel rental for gyms and salons; apron, towels, uniforms and mats for restaurants; and uniform, shop towel, fender cover and mat rental for manufacturing and automotive industries. This entry was posted on Thursday, June 2nd, 2016	at 3:30 pm	. You can follow any responses to this entry through the RSS 2.0	feed. Both comments and pings are currently closed.